With this product, you earn 57 loyalty points. #Shine No More reveals the skin we all dream about: refined texture, tightened pores, matte finish and luminous radiance. Skin that is ready for a quick close-up selfie! #NoFilter #NoTouchUps This translucent, melt-away and non-oily perfecting fluid moisturises and matifies areas of the skin that are prone to shine. It creates the illusion of enhanced skin, which seems devoid of imperfections, while reducing excess sebum. #BlurringEffect result: the skin is hydrated and has a matte finish. The skin texture is visibly finer and pores are less visible. The skin is silky, smooth and more beautiful day after day. Apply morning and evening to the entire face, paying special attention to shiny areas. Two-step perfecting actions: 1. A sublimated skin on application: -The SWC® helps to perfectly hydrate the skin and contributes to its radiance; -The Smart-Perfect Complex combines matifying zinc microspheres to reduce signs of excess sebum with a pore-minimizing plant extract. Enriched with a blurring-effect diamond powder, this unique complex goes to work as soon as it is applied to reveal immediately a beautiful skin; 2. 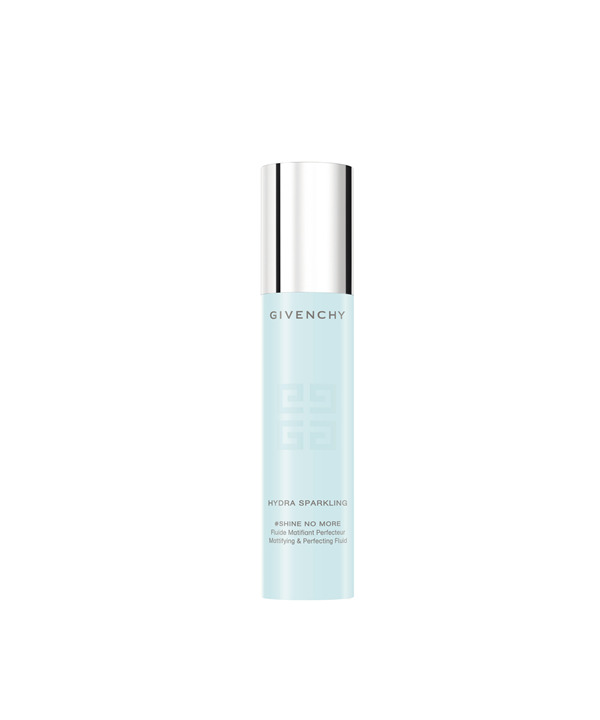 A long-term matifying action: -A balancing agent helps purify the skin, day after day.